Happiness. Webster’s dictionary defines happiness as contentment, or a pleasurable or satisfying experience. We all want it, we all look for it, yet at times it seems to be as elusive as Big Foot sun bathing in a pot of gold near the end of a rainbow. The promise of happiness can be found everywhere. Look no further than the latest gadget that will change you life forever. Who can deny ‘the clapper’ was what we’d all been waiting for? How else could we go on, night after night getting in the bed forgetting to cut the lamp off next to us, without the ability to clap and turn it off or on again? We are promised that happiness comes with a new phone, a new car or a new marriage only to find the new always wears off and with it seems to go little pieces of happiness. I want to share with you a happy time in my life, before I thought you had to seek happiness and I was convinced happiness sought me. A time, so it seemed, happiness was waiting on my waking every morning. The trees grew tall on the west side of the long, almost shot gun house, I grew up in. This kept the grass from ever growing and the dirt was prime. Prime real-estate for a little boy with matchbox cars, and I was that little boy. 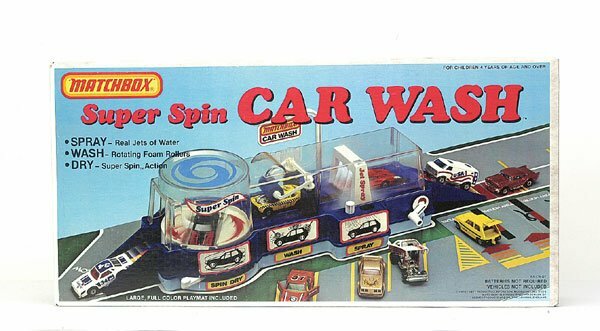 I had the general lee, the A-Team van and a matchbox car wash to clean them at the end of every ‘epic’ day. I had dirt roads and farmed rollie-pollies much like you would cattle. Hours on end from the aggravation of the morning dew till the warm buzzing of the street light at night. If you needed me that’s where you’d find me, playing in the dirt. I was also blessed to have a wooded ‘forrest’ across the road from my house, though I lived close enough to the town square to read the courthouse clock, when it worked. One day as I blazed trails through this great wilderness I found myself a grocery cart! To you that may seem like a small thing, to me it seemed like I had struck Sutter’s gold! Oh the possibilities and boy did I come up with one. A neighborhood friend and I, sprayed that baby black, put a cardboard box on top, cut out windows with red curtains, making this former grocery hauler into a LIMOUSINE. Taking turns, one of us would push while the other pretended to be some one important, and completely feeling the part. Both pushing and riding made me happy. On one hand I was serving a very important person and helping them get to where they needed to be, and from the inside I’m sure I was that important person, probably President Ronald Reagan. While I was really neither of those, the happiness wasn’t found in being them, the happiness I found was in being me. No person alive was any happier riding in their stretch Cadillac than I was riding in a cardboard box sitting on top of a grocery cart. See happiness isn’t the result of getting something you want, happiness comes from making the most of what you already have. I think Webster called it ‘contentment.” It brought me great pleasure to be the one who served the important people as well as my turn to pretend I was the important one. We all need to experience both serving and feeling important in this life. In reality, you are important, even if you don’t feel that way. Look, happiness is not that elusive if you know where to look. Happiness doesn’t come from the outside, it comes from within. Today think of the times you have been really happy, rediscover the satisfaction of simplicity, serving others and imagination. Really life is about perspective, yes it could always be better, but more than likely it could also always be worse. I’ll never forget a truth I learned about perspective from a book called The Noticer : If in your sack lunch you discover a can of sardines and a can of potted meat, you can either look at it like your eating sardines and potted meat from a can, or like you’re feasting on a surf and turf at a picnic. By the way, if you are ever in Holly Springs MS, drive through the brick and iron gates down a little road called Johnson Park to street number 244, there you will find the house I grew up in, and if you ask I bet the new home owners will show you.. “LIMO ROAD” the sign I painted in yellow, on the house, thirty something years ago. “Clapping off” till next time. Have a great day!